Brigid Kirrane married Martin Brennan. Her married name was Brennan. William Chaulk was christened on 21 August 1831 at Great Haseley, Oxfordshire. He appeared on the 1841 Census and William Chaulk, Mary Gurden, Anna Maria Chaulk and John Chaulk were living in the same household; William (Snr) the head is described as an ag. lab. On rear of photo of Haseley Court, chess board garden it says started by great grandfather Chaulk who was a gardener there. This may refer to William. The owners of the house (in 1998) stated they believed the garden was planted about 1850. A book on the gardens of England refers to the chess board garden - "In 1542 the historian John Leland recorded that, `At Little Haseley master Barentyre hath a right fair mansion place and marvellous fair walkes, topiarii operis, and orchards and ponds. ' The trees of the present topiary were planted in 1850 and the records of a past owner refer to their being clipped into shapes around 1900. Fifty-five years later when Mrs Lancaster took on the property it was virtually derelict. The house was a shambles thanks to the troops billeted there during the war, and the gardens overgrown. Curiously, the topiary, though choked with weeds, was perfectly clipped thanks to the attentions of an old gentleman who bicycled over each season from Great Haseley to give his `kings and queens' as he called them, all the attention they deserved." 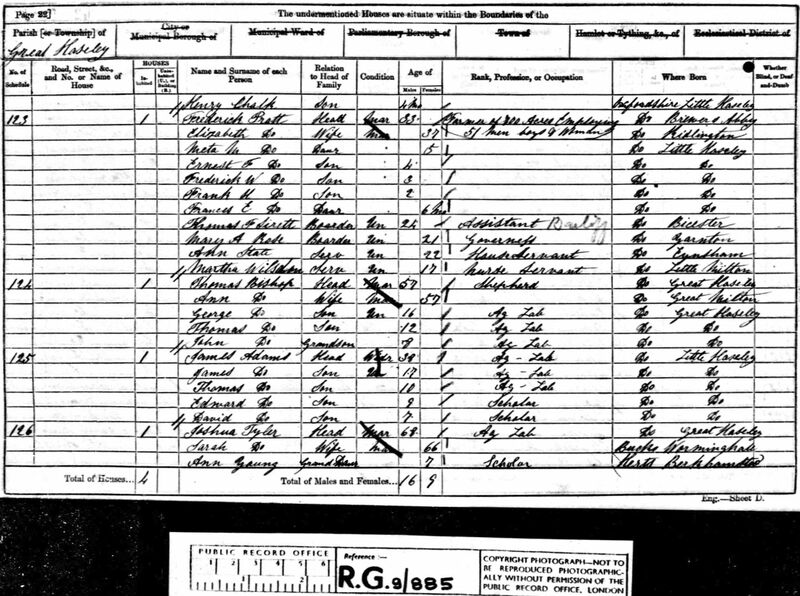 William Chaulk appeared on the 1851 Census in, Little Haseley, Oxfordshire, , and William Chaulk, Mary Gurden and John Chaulk were living in the same household; William and his sons were Ag Lab's. William Chaulk married Mary Thorn, daughter of John Thorn and (?) (? ), on 20 October 1855 at Parish Church, Haseley, Oxfordshire, and the ceremony was witnessed by Alfred Quaterman and Elizabeth East; William described himself as a labourer and Mary a servant. At the time of Henry's birth William was a farm labourer. William Chaulk appeared on the 1861 Census in Great Haseley, Oxfordshire, and Mary Thorn, Elizabeth (Bess) Chaulk, Thomas Chaulk and Henry Chaulk were living in the same household; William the head was described as an ag. lab. 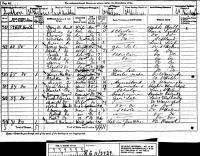 William Chaulk appeared on the 1871 Census in, Little Haseley, Oxfordshire, , and Mary Thorn, Thomas Chaulk, Jane Chaulk, Alice Chaulk, Ellen Chaulk and Henry Chaulk were living in the same household; William and his son Thomas were Ag Lab's. 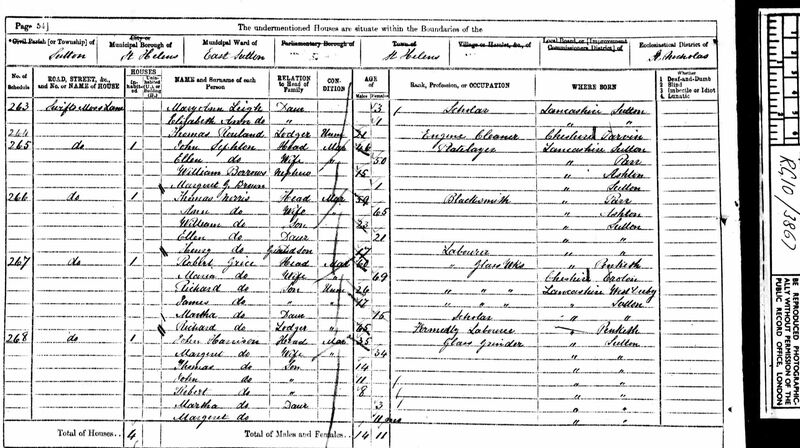 William Chaulk appeared on the 1881 Census in Great Haseley, Oxfordshire, and Mary Thorn, Ellen Chaulk, Ann Chaulk, Mary (Polly) Chaulk and Alice Chaulk were living in the same household; William the head is described as a carter. Alice is described as grandaughter born Thame. 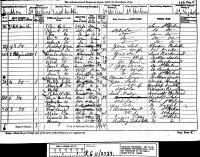 William Chaulk appeared on the 1891 Census in, Little Haseley, Oxfordshire, , and Mary Thorn, Mary (Polly) Chaulk and Alice Chaulk were living in the same household; William is described as a farm labourer. Alice is a granddaughter. William Chaulk appeared on the 1901 Census in, Little Haseley, Oxfordshire, , and Mary Thorn were living in the same household; William was described as a gardener domestic and his wife Mary as a Laundress Wash. William Chaulk was buried on 20 November 1908 at St Peters Church, Great Haseley, Oxfordshire. Marriage* He married Mary Thorn, daughter of John Thorn and (?) (? ), on 20 October 1855 at Parish Church, Haseley, Oxfordshire, and the ceremony was witnessed by Alfred Quaterman and Elizabeth East; William described himself as a labourer and Mary a servant. Her married name was Chaulk. Mary Thorn was born circa 1835 at South Marston, Wiltshire. She married William Chaulk, son of William Chaulk and Ann Cottrell, on 20 October 1855 at Parish Church, Haseley, Oxfordshire, and the ceremony was witnessed by Alfred Quaterman and Elizabeth East; William described himself as a labourer and Mary a servant. 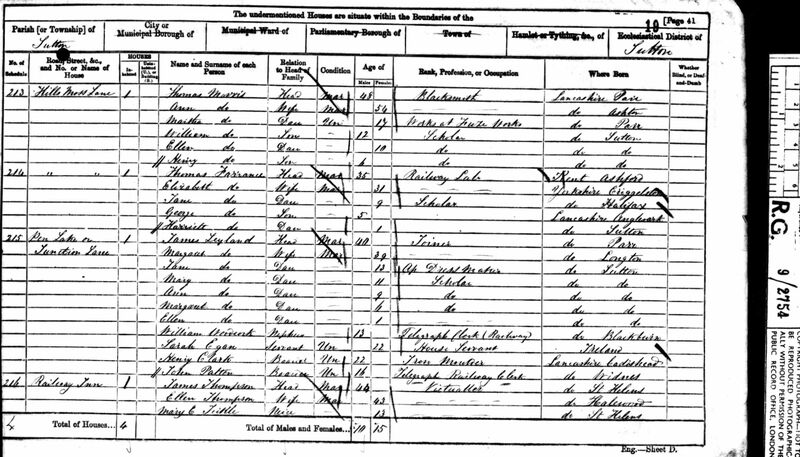 Mary Thorn appeared on the 1861 Census in Great Haseley, Oxfordshire, and William Chaulk, Elizabeth (Bess) Chaulk, Thomas Chaulk and Henry Chaulk were living in the same household; William the head was described as an ag. lab. 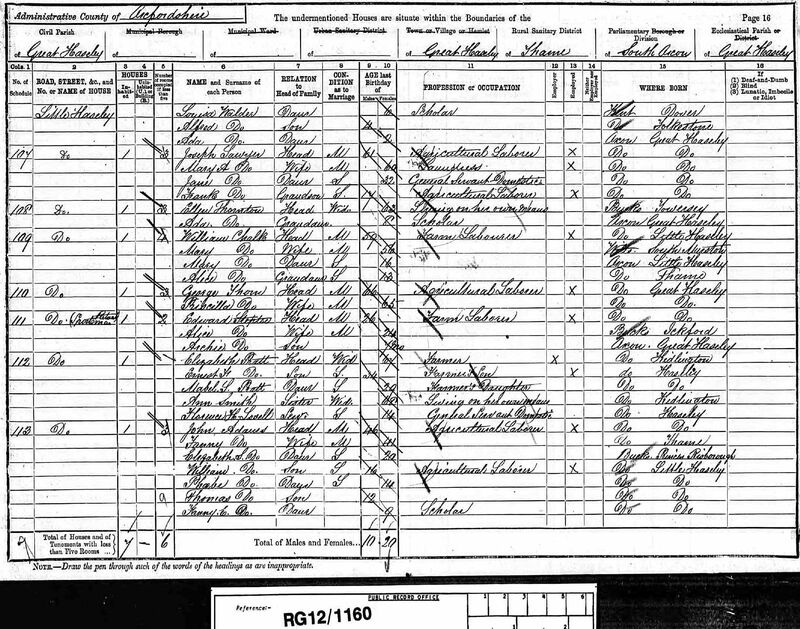 Mary Thorn appeared on the 1871 Census in, Little Haseley, Oxfordshire, , and William Chaulk, Thomas Chaulk, Jane Chaulk, Alice Chaulk, Ellen Chaulk and Henry Chaulk were living in the same household; William and his son Thomas were Ag Lab's. 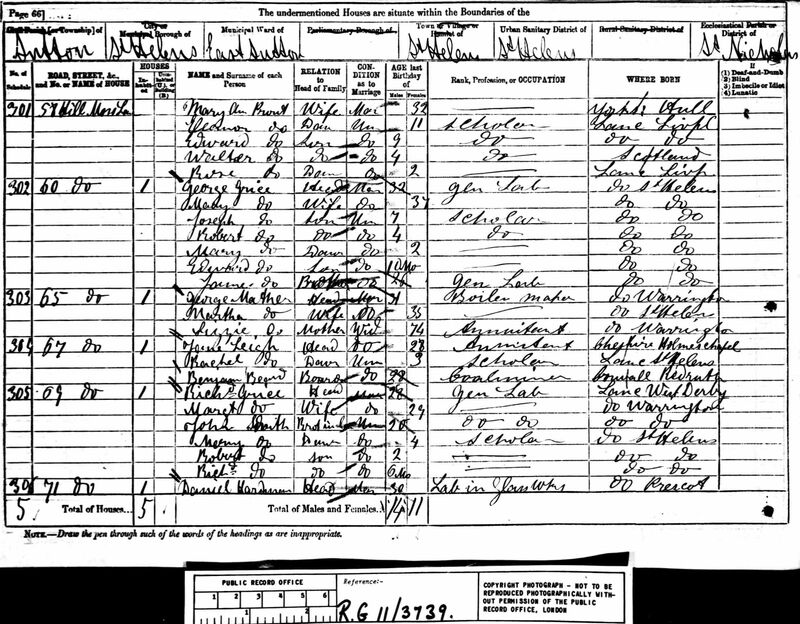 Mary Thorn appeared on the 1881 Census in Great Haseley, Oxfordshire, and William Chaulk, Ellen Chaulk, Ann Chaulk, Mary (Polly) Chaulk and Alice Chaulk were living in the same household; William the head is described as a carter. Alice is described as grandaughter born Thame. 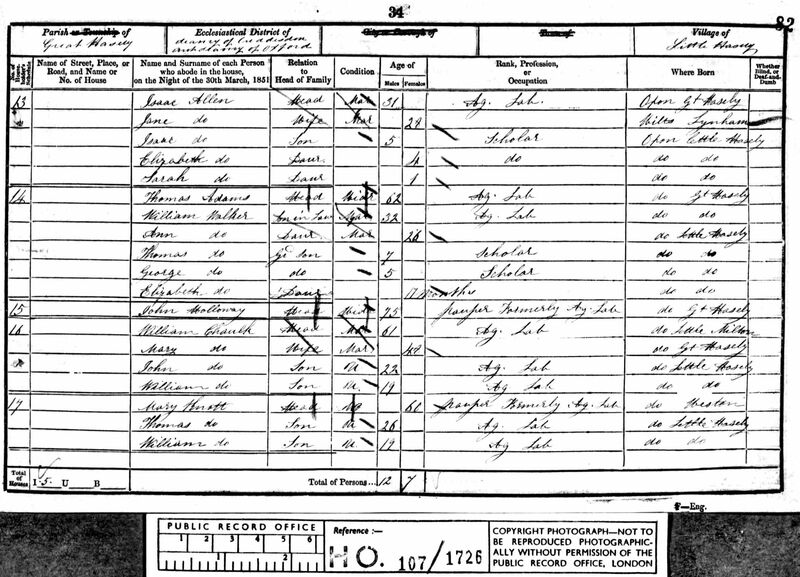 Mary Thorn appeared on the 1891 Census in, Little Haseley, Oxfordshire, , and Mary (Polly) Chaulk, Alice Chaulk and William Chaulk were living in the same household; William is described as a farm labourer. Alice is a granddaughter. Mary Thorn appeared on the 1901 Census in, Little Haseley, Oxfordshire, , and William Chaulk were living in the same household; William was described as a gardener domestic and his wife Mary as a Laundress Wash. Mary Thorn died circa 1916 at, Little Haseley, Oxfordshire, . Marriage* She married William Chaulk, son of William Chaulk and Ann Cottrell, on 20 October 1855 at Parish Church, Haseley, Oxfordshire, and the ceremony was witnessed by Alfred Quaterman and Elizabeth East; William described himself as a labourer and Mary a servant. Her married name was Chaulk. Mary Ann Barrow was born circa 1857 at, St Helens, Lancashire, . 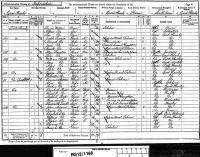 She appeared on the 1871 Census in 29 Watery Lane, Sutton, St Helens, Lancashire, and Richard Barrow, Ellen Barrow, Nathan? Barrow and James Barrow were living in the same household; Richard the head was described as a labourer, as were the rest of the family. 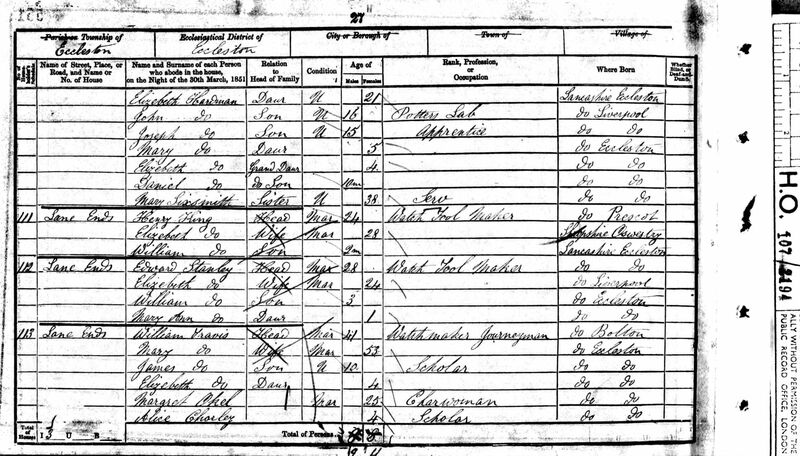 Mary Ann Barrow appeared on the 1881 Census in Chancery Lane Cloggers Shop, Parr, St Helens, Lancashire, and James Barrow, Richard Barrow and Richard Barrow were living in the same household; James was the head and was described as a clogger, his father Richard, a widow, was a general labourer, Mary was a housekeeper, a nephew to James was also present - Richard. Also in the household was a boarder John Hampten, a foreman shunter on the railway. Mary Ann Barrow married Henry Chaulk, son of William Chaulk and Mary Thorn, on 28 June 1882 at Parr, St Helens, Lancashire, and the ceremony was witnessed by James Barrow and Ellen Thompson; At the time of the marriage Henry was working as a labourer and both he and his bride gave their place of residence as Parr. 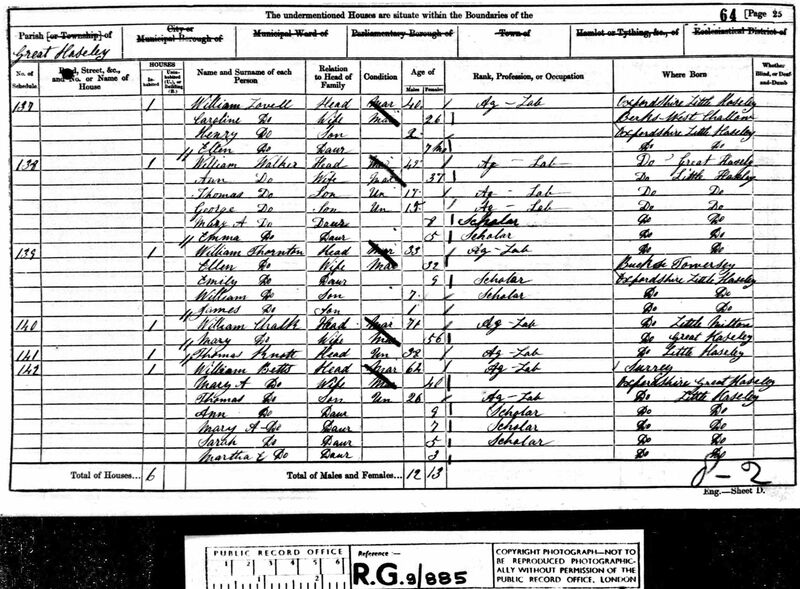 Mary Ann Barrow appeared on the 1891 Census in, St Helens, Lancashire, , and Minnie Chaulk, Emily Chaulk, Richard Barrow and Henry Chaulk were living in the same household; Henry was a Plate Glass Maker and Richard Barrow his father-in-law was a labourer at the glassworks. 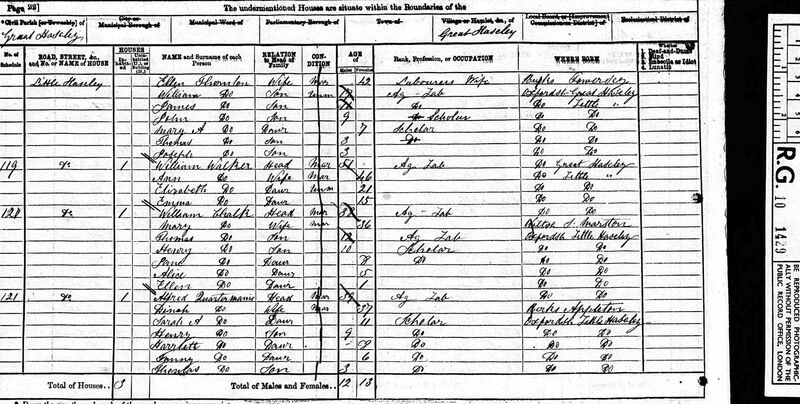 Mary Ann Barrow appeared on the 1901 Census in, Newton in Makerfield, Lancashire, , and Henry Chaulk, Minnie Chaulk and Emily Chaulk were living in the same household; Henry was a machine labourer at the wagon works, Minnie was a paper ruler at a printers and Minnie was a paper packer at a printers. Also in the household was a lodger John Baker. 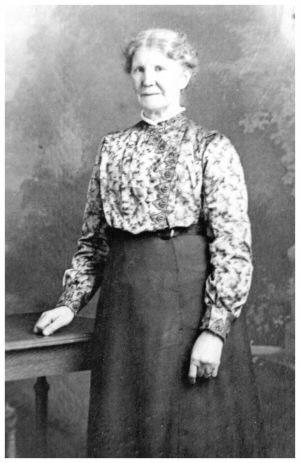 Mary Ann Barrow died before 1916. Marriage* She married Henry Chaulk, son of William Chaulk and Mary Thorn, on 28 June 1882 at Parr, St Helens, Lancashire, and the ceremony was witnessed by James Barrow and Ellen Thompson; At the time of the marriage Henry was working as a labourer and both he and his bride gave their place of residence as Parr. Daniel Hardman was born on 6 May 1850 at, Lancashire, ; He was the illegitimate son of Peter Robinson and Elizabeth Hardman. It doesn't appear that they got married as he took his mother's name. He was probably born on the 6th May 1850 which is the date shown in the family bible, as opposed to 29th May, the date shown his birth certificate. This may be explained by the fact that at the time it was free to register the birth of a child for the first six weeks after the birth, but after that period it cost 7s 6d. The birth was registered on 4th July which is more than 6 weeks after 6th May but less than 6 weeks after the 30th May. The birth was registered by Margaret Hardman of Lane Ends, Eccleston. He appeared on the 1851 Census in, Lancashire, , and John Hardman, Margaret Sixsmith, Elizabeth Hardman, John Hardman, Joseph Hardman, Mary Hardman, Elizabeth Hardman and Mary Sixsmith were living in the same household; John, the head was described as a carter, young John as a potters labourer, and Mary Sixsmith as sister and servant. It is more likely that Mary was the sister of John's wife who was Margaret Sixsmith. 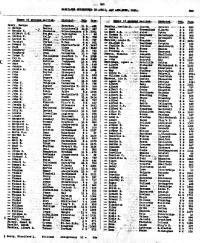 Daniel Hardman appeared on the 1861 Census in, Prescot, Lancashire, , and Elizabeth Hardman, John Hardman, Margaret Sixsmith, Thomas Hardman, James Hardman and Ellen Hardman were living in the same household; John, the head, was a carter. Elizabeth was a char woman. Also staying at the house was Mary Sixsmith sister in law who was described as an invalid. 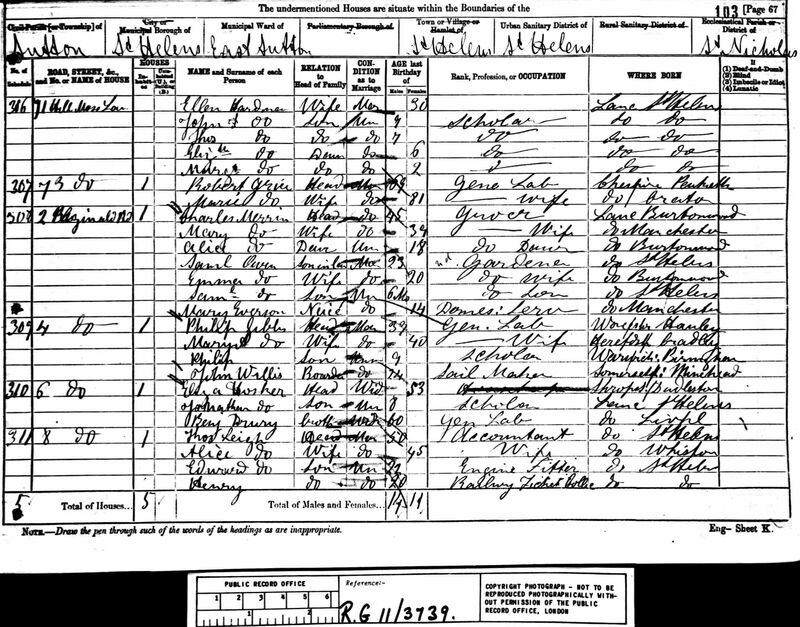 Daniel Hardman appeared on the 1871 Census in, St Helens, Lancashire, ; Daniel was a boarder with the Anders family and his occupation was Glass Smoother. Daniel Hardman married Ellen Morris, daughter of Thomas Morris and Anne Lowe, on 4 September 1871 at, St Helens, Lancashire, , and the ceremony was witnessed by William Morris and Ann Parr; Daniel gave his occupation as a labourer and both he and his bride resided in Sutton. Daniel seems to have moved house several times during the early days. In 1881 he was shown in the electoral roll living at 58 Hills Moss Lane. It looks like he moved that year into his father in laws house at 71 (later in that year that is where he is in the census 1881). He stayed at 71 until 1889/1890 when he moved around the corner to 57 Helena Road. Within a year he moved to 67 Peckers Hill Lane which changed it's name around 1892 to Peckers Hill Road. He stayed there until about 1904 when he moved to 75 Peckers Hill Road where he lived until his death. The house remained in the family and his daughter Martha lived there with her husband until she died in 1975. The house was originally rented and later bought by Daniel's son Daniel . Whilst at 67 Peckers Hill Road they had a lodger Thomas Worrall ( 1891 ) who also works as a wagon sheet repairer. ( Elsie states this is a cousin of the Hardmans some of the Worralls lived in Pudding Bag around Railway Terrace area). 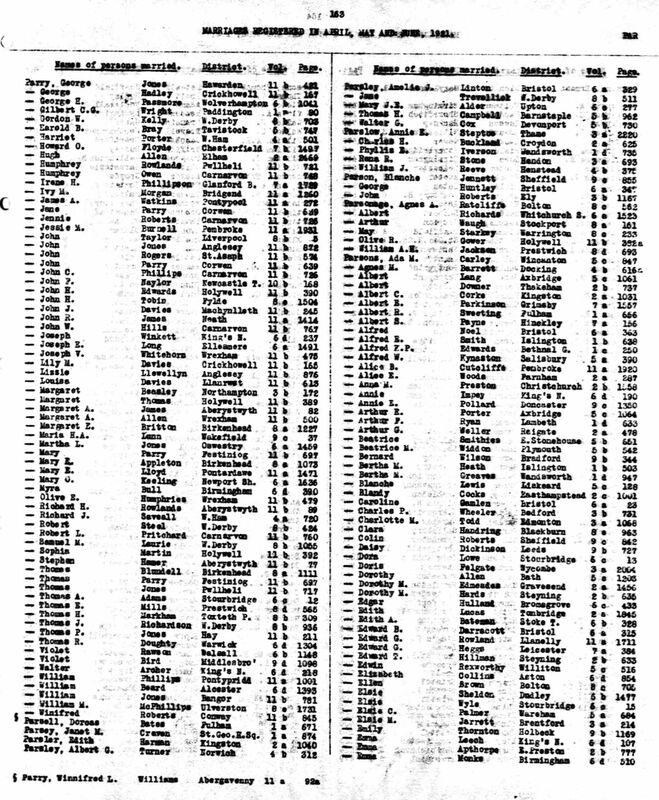 Daniel Hardman appeared on the 1881 Census in 71 Hills Moss Lane, Sutton, St Helens, Lancashire, and Ellen Morris, Elizabeth Ann Hardman, John F. Hardman, Thomas Hardman and Margaret Ellen Hardman were living in the same household; Daniel the head was a labourer in the glassworks. Apparently Hills Moss Lane later became Hills Moss Road, and was known locally as the Indian Village as a lot of Indians lived there. Daniel Hardman appeared on the 1891 Census in 67 Peckers Hill Rd, Sutton, St Helens, Lancashire, and Ellen Morris, John F. Hardman, Thomas Hardman, Elizabeth Ann Hardman, Daniel Hardman, Mary Ellen Hardman and Thomas Worrall were living in the same household; Daniel the head was a coal miner/colliery labourer, John a horse driver, and Thomas an India wagon sheet repairer. In 1916 Daniel Hardman his daughter Elizabeth on her marriage certificate stated that her father Daniel's occupation was a miner. He died circa 1926 at 75 Peckers Hill Rd, Sutton, St Helens, Lancashire. He was buried at, St Helens, Lancashire, . Marriage* He married Ellen Morris, daughter of Thomas Morris and Anne Lowe, on 4 September 1871 at, St Helens, Lancashire, , and the ceremony was witnessed by William Morris and Ann Parr; Daniel gave his occupation as a labourer and both he and his bride resided in Sutton. Her married name was Hardman. Ellen Morris was born on 23 June 1850 at Moss Nook, St Helens, Lancashire. She appeared on the 1851 Census in Sutton Boundary, Sutton, St Helens, Lancashire, and Thomas Morris, Anne Lowe, James Morris, Margaret Morris, Thomas Morris, Martha Morris, Joseph Morris and William Morris were living in the same household; Thomas, the head, was a blacksmith as was his son James. 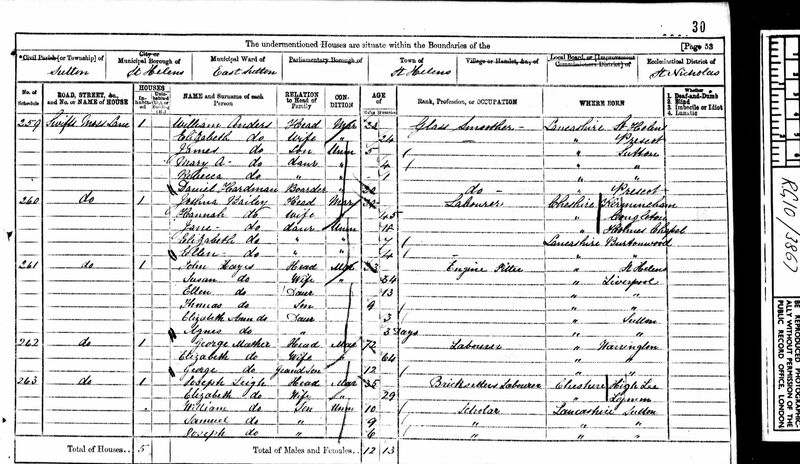 Ellen Morris appeared on the 1861 Census and Thomas Morris, Anne Lowe, Martha Morris, William Morris and Henry Morris were living in the same household; Thomas was still a blacksmith. In this year Thomas was shown in the electoral register at 71 Hills Moss Lane (where his daughter Ellen and her husband Daniel Hardman were then living). 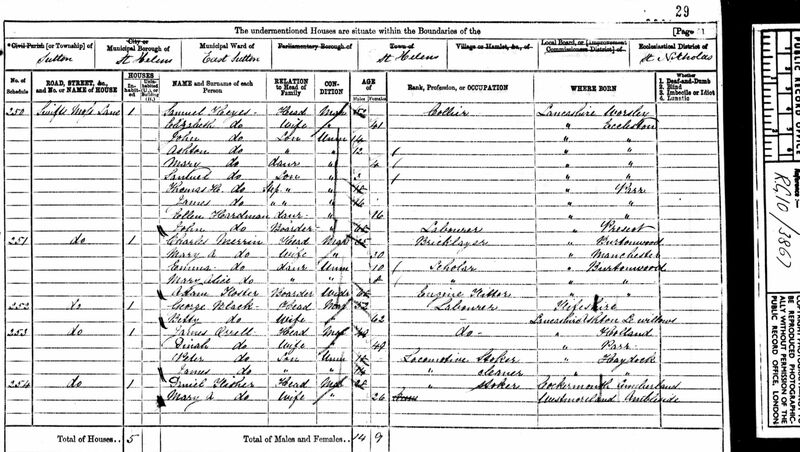 Ellen Morris appeared on the 1871 Census in, St Helens, Lancashire, , and Anne Lowe, William Morris, Henry Morris and Thomas Morris were living in the same household; Thomas, the head, was a Blacksmith and Henry is a labourer. Henry is described here as a grandson as opposed to son in the census of 1861. Ellen Morris married Daniel Hardman, son of Peter Robinson and Elizabeth Hardman, on 4 September 1871 at, St Helens, Lancashire, , and the ceremony was witnessed by William Morris and Ann Parr; Daniel gave his occupation as a labourer and both he and his bride resided in Sutton. 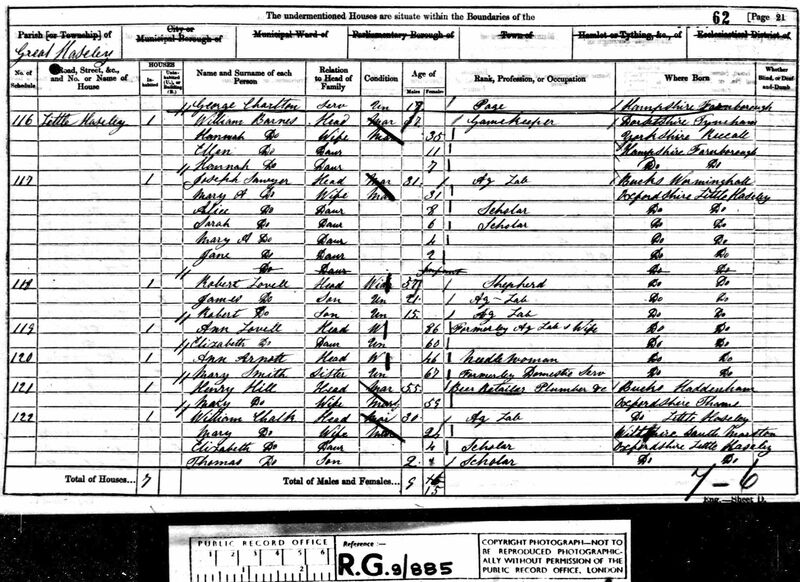 Ellen Morris appeared on the 1881 Census in 71 Hills Moss Lane, Sutton, St Helens, Lancashire, and Daniel Hardman, Elizabeth Ann Hardman, John F. Hardman, Thomas Hardman and Margaret Ellen Hardman were living in the same household; Daniel the head was a labourer in the glassworks. Ellen Morris appeared on the 1891 Census in 67 Peckers Hill Rd, Sutton, St Helens, Lancashire, and Daniel Hardman, John F. Hardman, Thomas Hardman, Elizabeth Ann Hardman, Daniel Hardman, Mary Ellen Hardman and Thomas Worrall were living in the same household; Daniel the head was a coal miner/colliery labourer, John a horse driver, and Thomas an India wagon sheet repairer. Ellen Morris died in October 1917 at 75 Peckers Hill Rd, Sutton, St Helens, Lancashire, at age 67. She was buried in October 1917 at, St Helens, Lancashire, . Marriage* She married Daniel Hardman, son of Peter Robinson and Elizabeth Hardman, on 4 September 1871 at, St Helens, Lancashire, , and the ceremony was witnessed by William Morris and Ann Parr; Daniel gave his occupation as a labourer and both he and his bride resided in Sutton. In 1871 Peter Robinson was a labourer according to the marriage certificate of his son Daniel. Her married name was Hayes. Elizabeth Hardman was born circa 1830 at Eccleston, Lancashire. She appeared on the 1851 Census in, Lancashire, , and John Hardman, Margaret Sixsmith, John Hardman, Joseph Hardman, Mary Hardman, Elizabeth Hardman, Daniel Hardman and Mary Sixsmith were living in the same household; John, the head was described as a carter, young John as a potters labourer, and Mary Sixsmith as sister and servant. It is more likely that Mary was the sister of John's wife who was Margaret Sixsmith. Elizabeth Hardman appeared on the 1861 Census in, Prescot, Lancashire, , and John Hardman, Margaret Sixsmith, Thomas Hardman, James Hardman, Ellen Hardman and Daniel Hardman were living in the same household; John, the head, was a carter. Elizabeth was a char woman. Also staying at the house was Mary Sixsmith sister in law who was described as an invalid. Elizabeth Hardman married Samuel Hayes. Elizabeth Hardman appeared on the 1871 Census in, St Helens, Lancashire, , and John Hardman, Thomas Hardman, James Hardman, Ellen Hardman, Samuel Hayes, John Hayes, Ashton Hayes, Mary Hayes and Samuel Hayes were living in the same household; Samuel Hayes the head was a collier. Thomas, James and Ellen were recorded as step children. John Hardman was a labourer and recorded as a boarder. Thomas Morris was born circa 1812 at Parr, St Helens, Lancashire. He married Anne Lowe on 25 July 1831 at Parish Church, Farnworth, Prescot, Lancashire, and the ceremony was witnessed by James Lowe and James Southern; Thomas gave his occupation as a collier and both he and his bride were of the parish. James Southern appeared on several entries in the records as a witness and may have been a church official. Thomas Morris appeared on the 1851 Census in Sutton Boundary, Sutton, St Helens, Lancashire, and Anne Lowe, James Morris, Margaret Morris, Thomas Morris, Martha Morris, Joseph Morris, William Morris and Ellen Morris were living in the same household; Thomas, the head, was a blacksmith as was his son James. 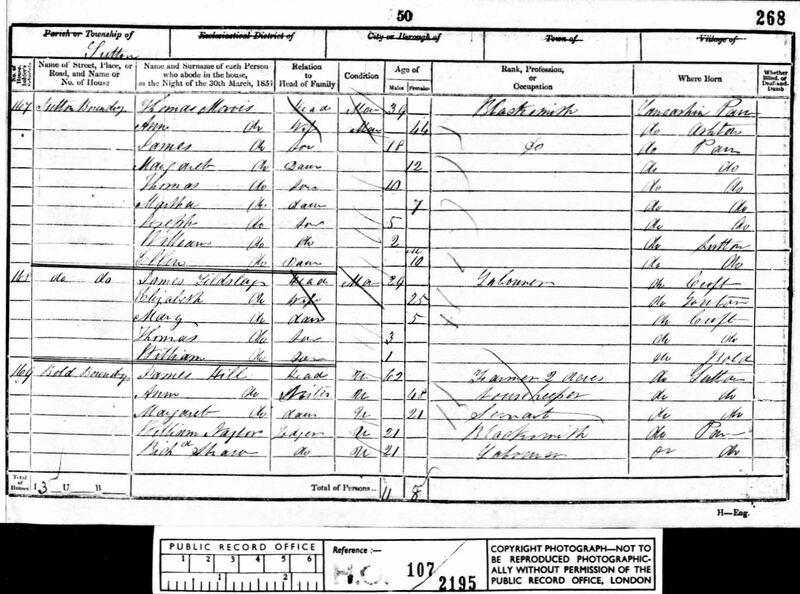 Thomas Morris appeared on the 1861 Census and Anne Lowe, Martha Morris, William Morris, Ellen Morris and Henry Morris were living in the same household; Thomas was still a blacksmith. In this year Thomas was shown in the electoral register at 71 Hills Moss Lane (where his daughter Ellen and her husband Daniel Hardman were then living). Thomas Morris appeared on the 1871 Census in, St Helens, Lancashire, , and Ellen Morris, Anne Lowe, William Morris and Henry Morris were living in the same household; Thomas, the head, was a Blacksmith and Henry is a labourer. Henry is described here as a grandson as opposed to son in the census of 1861. William Chaulk was born circa 1791 at Little Milton, Oxfordshire. He married Ann Cottrell, daughter of William Cottrell and Mary (? ), circa 1816 at Berrick Salome, Oxfordshire. William Chaulk married Mary Gurden on 4 September 1836 at St Peters Church, Great Haseley, Oxfordshire. William Chaulk appeared on the 1841 Census and Mary Gurden, Anna Maria Chaulk, John Chaulk and William Chaulk were living in the same household; William (Snr) the head is described as an ag. lab. 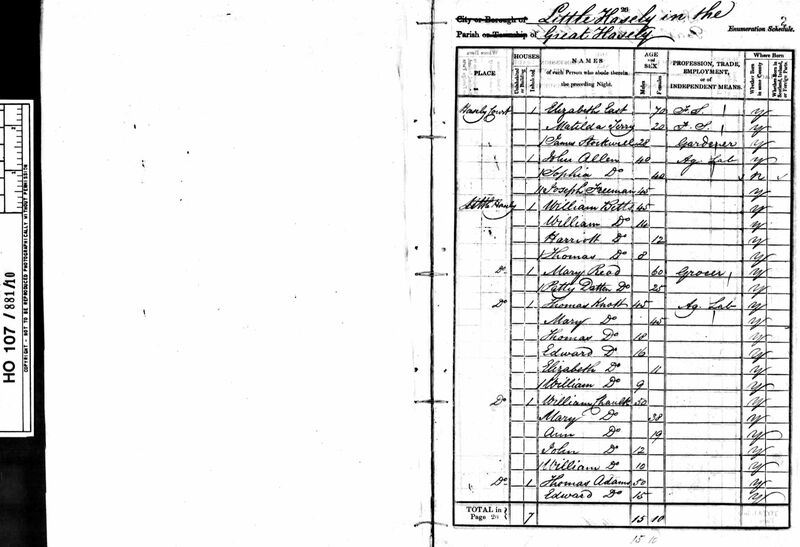 William Chaulk appeared on the 1851 Census in, Little Haseley, Oxfordshire, , and Mary Gurden, John Chaulk and William Chaulk were living in the same household; William and his sons were Ag Lab's. William Chaulk appeared on the 1861 Census in Great Haseley, Oxfordshire, and Mary Gurden were living in the same household; William the head is described as an ag. lab (despite his age of 71 years at the time). William Chaulk died circa 1864 at, Little Haseley, Oxfordshire, . He was buried on 14 February 1865. Marriage* He married Ann Cottrell, daughter of William Cottrell and Mary (? ), circa 1816 at Berrick Salome, Oxfordshire. Marriage* William Chaulk married Mary Gurden on 4 September 1836 at St Peters Church, Great Haseley, Oxfordshire. Timothy Parsonage was baptised on 8 November 1725 at Gresford, Denbighshire. There is a Timothy, yeoman, son of Richard who is made a Freeman of the City of Chester on 21 Jul 1747, and also a Samuel son of Richard of Allington ( plumber deceased ) made Freeman 11 July 1747. This may be Timothy and his brother. He married Elizabeth Parsonage, daughter of Jonathon Parsonage and (?) (? ), on 1 March 1762 at, Gresford, Denbighshire, , and the ceremony was witnessed by Edward Evans and Samuel Bennion. There is a deed in the Ruthin Record Office dated 24 Sep 1768 which relates to a Timothy Parsonage, yeoman of Allington, lending £120 to a Mary Gower as her mortgage. In the land tax assessments at Ruthin Record Office there is a Timothy paying £6 14s 0d land tax ( at 4s/£ the land would be valued at £33 10s ), this is dated 1778 and 1779. In 1781 the tax is being paid by a Mrs Parsonage, this tends to show that it is this Timothy that is being referred to as he died in 1780. The land is shown as being owned by the College of Glascow. Mrs Parsonage continues paying the tax until 1792 when Thomas Parsonage takes over. Again this makes sense as Elizabeth died in 1792 and it is most probably her son Thomas who took over then. He pays the tax through to 1796 when the records end. Timothy Parsonage left a will dated on 19 April 1780; In his will Timothy bequeaths the profits of his farm to his wife Elizabeth & his sons Thomas and Timothy, and to William Parsonage of Lower Hall. He also names these as executors of his will. He leaves his lands, messuages, household goods and stocks to be divided equally amongst his children. The will was witnessed by John Thomas, John Bennion and Thomas Bennion. It was proved at St Asaph on March 8th 1781. The estate was sworn to be valued above £100 and below £300. It is not known if the farm referred to is Trevalyn Farm. He died on 22 April 1780 at Gresford, Denbighshire, at age 54. He was buried on 26 April 1780 at, Gresford, Denbighshire, ; There is a box tomb next to the south facing wall of the church which is amongst other Parsonage graves. The inscription on the tomb reads, "In Hope of a Blessed Resurrection. Underneath lies interred the remains of Timothy Parsonage of Allington who departed this life the 22 day of April 1780 aged 54. Also Ann the daughter of Timothy Parsonage. Also Elizabeth wife of Timothy." Marriage* He married Elizabeth Parsonage, daughter of Jonathon Parsonage and (?) (? ), on 1 March 1762 at, Gresford, Denbighshire, , and the ceremony was witnessed by Edward Evans and Samuel Bennion. Elizabeth Parsonage was born on 9 February 1737 at Holt, Denbighshire. She married Timothy Parsonage, son of Richard Parsonage and (?) (? ), on 1 March 1762 at, Gresford, Denbighshire, , and the ceremony was witnessed by Edward Evans and Samuel Bennion. Elizabeth Parsonage witnessed the will of Timothy Parsonage on 19 April 1780; In his will Timothy bequeaths the profits of his farm to his wife Elizabeth & his sons Thomas and Timothy, and to William Parsonage of Lower Hall. He also names these as executors of his will. He leaves his lands, messuages, household goods and stocks to be divided equally amongst his children. The will was witnessed by John Thomas, John Bennion and Thomas Bennion. It was proved at St Asaph on March 8th 1781. The estate was sworn to be valued above £100 and below £300. It is not known if the farm referred to is Trevalyn Farm. Elizabeth Parsonage died on 16 December 1792 at Gresford, Denbighshire, at age 55. She was buried after 16 December 1792 at, Gresford, Denbighshire, ; Elizabeth is buried in the same tomb as her husband Timothy. Richard Parsonage married (?) (?). Her married name was Ratcliffe. Agnes Ada Parsonage was born in 1896 at, Bolton, Lancashire, . 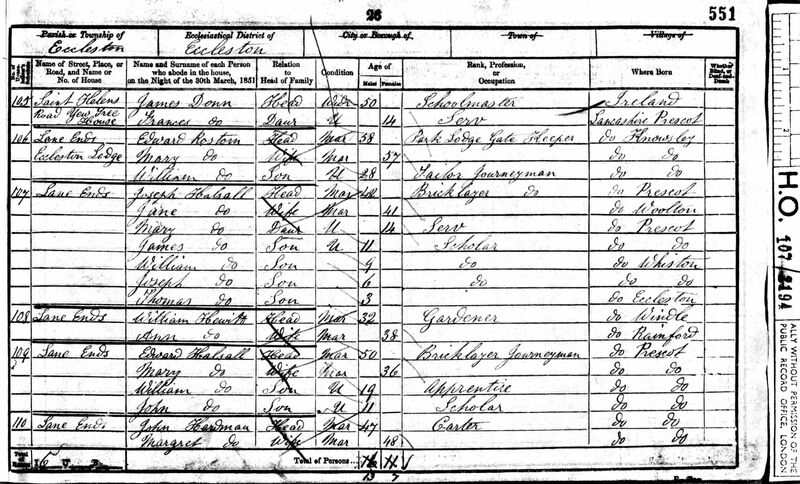 She appeared on the 1901 Census in 3 Armstrong Street, Horwich, Bolton, Lancashire, and Herbert Harold Parsonage, Esther Ann Morris and Edith Emily Parsonage were living in the same household; Herbert was described as a Gasmaker at Railway Engine Works. There were two lodgers also living with the family. Agnes Ada Parsonage appeared on the 1911 Census in, St Helens, Lancashire, , and Herbert Harold Parsonage, Esther Ann Parsonage, Edith Emily Parsonage, Oliver Parsonage and Eric Parsonage were living in the same household; Herbert was described as a Gas Maker at the Lead Smelting Company, and there were two lodgers James Taylor and John Ashton. The census record shows that there were 10 children that had been born alive and just four of them living at the time. There were 8 persons in the house sharing four rooms which included any kitchen. Agnes Ada Parsonage married Harry Ratcliffe in 1921 at, Bolton, Lancashire, . Her married name was Smith. Edith Emily Parsonage was born on 9 April 1898 at Horwich, Bolton, Lancashire. She took her confirmation at St Thomas', St Helens on 11 Dec 1913. 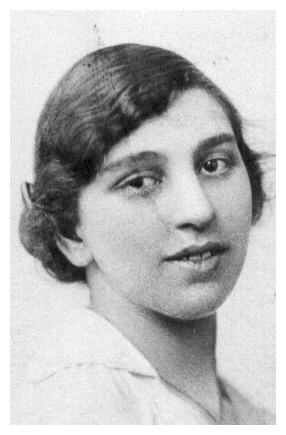 Edith worked for a firm called Oxen and Gillybrand before she married. They made clothing of some sort and she once mentioned that she worked 'on the band ', she was a seamstress. She appeared on the 1901 Census in 3 Armstrong Street, Horwich, Bolton, Lancashire, and Herbert Harold Parsonage, Esther Ann Morris and Agnes Ada Parsonage were living in the same household; Herbert was described as a Gasmaker at Railway Engine Works. There were two lodgers also living with the family. Edith Emily Parsonage appeared on the 1911 Census in, St Helens, Lancashire, , and Herbert Harold Parsonage, Esther Ann Parsonage, Agnes Ada Parsonage, Oliver Parsonage and Eric Parsonage were living in the same household; Herbert was described as a Gas Maker at the Lead Smelting Company, and there were two lodgers James Taylor and John Ashton. The census record shows that there were 10 children that had been born alive and just four of them living at the time. There were 8 persons in the house sharing four rooms which included any kitchen. Edith Emily Parsonage married Benjamin Smith, son of Samuel Marsh Smith and Ada Orrell, on 1 March 1927 at Holy Trinity Church, Horwich, Lancashire, and the ceremony was witnessed by Ada Smith and John Henry Forshaw; Ben gave his occupation as a metal turner, and he lived at 100 Brownlow Road, Bolton. Edith gave no occupation and she lived at 9 Oldham Street, Bolton. Ben and Edith's first home was in Bolton at 11 Inverlael Avenue. Daughters Barbara and Pat were born there. Ben was made redundant in the slump about 1930 and came home one day and told Edith he had bought a poultry farm. They moved to Holmfield Poultry Farm, Lytham Road, Warton, near Preston in 1931. It took Edith a long time to settle down in the village and she told her daughter Barbara that she didn't like the people in the village saying "hello Mrs.. Smith", when they didn't know her and hadn't been introduced. They also had an egg collecting round in the local area and a sales round in Manchester and Blackpool. The children really loved the farm with plenty of room to run around and baby chicks to see hatching, etc. In 1934 their third child Betty was born. In about 1938 the farm was sold, the egg rounds and one or two of the buildings were saved and they moved to a rented semi-detached house a few hundred yards up the road. They called the new house Cartref after the Parsonage grandparents' first house in Prestatyn. The girls went to the village school and Edith went to Banbury to train to be a sales lady for Marks and Spencers made to measure corsets. The war came and the egg business became "Egg Packing Station 966" under control of the Ministry of Agriculture. Ben was in a reserved occupation and joined the local Special Constables. Wimpey and Mc Alpines moved into the village and built an airfield which later became an American airbase. Edith took her sister-in-law Lillian's job and Lillian was released for war work. Ben was busy working for the Ministry of Agriculture and the children had to help out by grading and packing the eggs. Edith Emily Parsonage was buried at Warton, Lancashire. She died on 19 November 1953 at age 55. Marriage* She married Benjamin Smith, son of Samuel Marsh Smith and Ada Orrell, on 1 March 1927 at Holy Trinity Church, Horwich, Lancashire, and the ceremony was witnessed by Ada Smith and John Henry Forshaw; Ben gave his occupation as a metal turner, and he lived at 100 Brownlow Road, Bolton. Edith gave no occupation and she lived at 9 Oldham Street, Bolton. Benjamin Smith was born circa 1899. Ben came from a large family. His father married twice and there were several older brothers and one or two sisters. Ben was the only son of the second marriage, he had three sisters. Ben's father Sam had several pubs in the Bolton and Horwich area and described himself as a Brewer and beerseller. Ben went to Rivington and Blackrod Grammar School and would have liked to have studied to be an architect but his father wouldn't allow it. He went to evening classes at the Mechanics Institute and got a Diploma in Metal Turning. He worked at the Loco Works as a metal turner. Ben played the violin and sung when he was younger. He married Edith Emily Parsonage, daughter of Herbert Harold Parsonage and Esther Ann Morris, on 1 March 1927 at Holy Trinity Church, Horwich, Lancashire, and the ceremony was witnessed by Ada Smith and John Henry Forshaw; Ben gave his occupation as a metal turner, and he lived at 100 Brownlow Road, Bolton. Edith gave no occupation and she lived at 9 Oldham Street, Bolton. 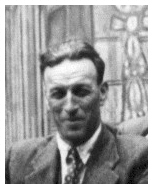 Oliver Parsonage was born on 24 March 1903 at, Bolton, Lancashire, . Oliver was a master plumber working on his own for a long time, then for F Parkinson and Co. during the war, and then before he retired for the Blackpool Council. He married Ellen Parkinson on 8 September 1925 at Horwich, Bolton, Lancashire. Oliver Parsonage witnessed the marriage of William Henry Parsonage and Elsie Chaulk on 23 February 1952 at Sutton Road Methodist Church, St Helens, Lancashire; At the time of the marriage William Henry was a Railway Goods Guard living at 87 Liverpool Road, St Helens and Elsie was a canteen assistant living at 6 Station Road, St Helens. Oliver Parsonage died on 1 September 1977 at Blackpool, Lancashire, at age 74; He lived at 85 Roseberry Avenue, Blackpool at the time of his death. Her married name was Parsonage. 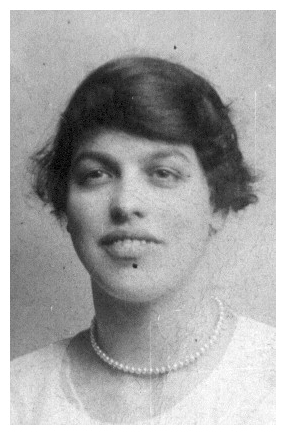 Ellen Parkinson married Oliver Parsonage, son of Herbert Harold Parsonage and Esther Ann Morris, on 8 September 1925 at Horwich, Bolton, Lancashire. Ellen Parkinson witnessed the marriage of William Henry Parsonage and Elsie Chaulk on 23 February 1952 at Sutton Road Methodist Church, St Helens, Lancashire; At the time of the marriage William Henry was a Railway Goods Guard living at 87 Liverpool Road, St Helens and Elsie was a canteen assistant living at 6 Station Road, St Helens. 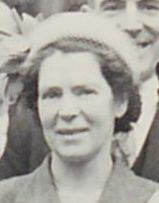 Ellen Parkinson died circa 1960 at Blackpool, Lancashire. 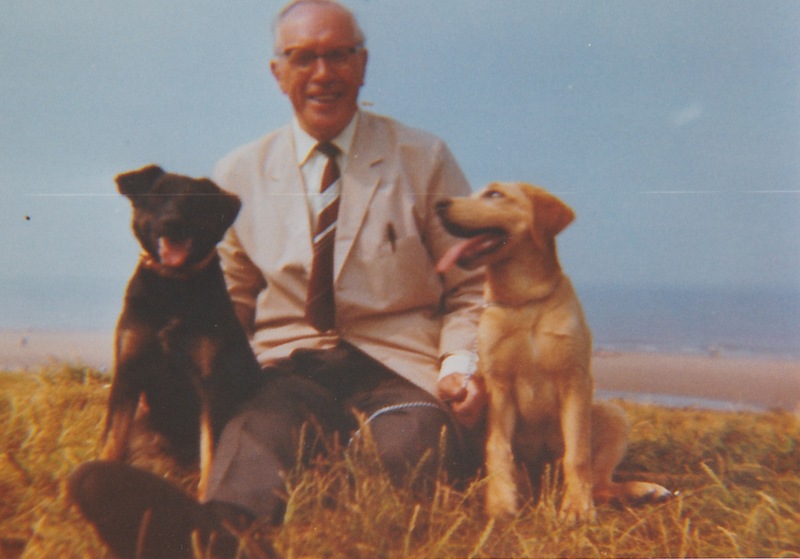 Eric Parsonage was born on 10 June 1908 at St Peters St., St Helens, Lancashire. He appeared on the 1911 Census in, St Helens, Lancashire, , and Herbert Harold Parsonage, Esther Ann Parsonage, Agnes Ada Parsonage, Edith Emily Parsonage and Oliver Parsonage were living in the same household; Herbert was described as a Gas Maker at the Lead Smelting Company, and there were two lodgers James Taylor and John Ashton. The census record shows that there were 10 children that had been born alive and just four of them living at the time. There were 8 persons in the house sharing four rooms which included any kitchen. Eric Parsonage married Lillian Dean, daughter of John William Dean and Selina Leach, on 31 March 1934 at, Bolton, Lancashire, . Eric worked in the cotton industry with his wife Lillian when they married. He was a spinner and Lillian was a weaver. They later went to live in Blackpool where he worked for the ICI. He was a chargehand and worked there from 1940-1968. He wrote about his memories of working at ICI. Eric wrote a letter to his grandson Jonathon Brookes for a school project that Jonathon was doing. It explains to the school children what life was like when he was a young lad. The letter written in 1977 was as follows. "From Jonathon Brookes Grandpa Mr. E. Parsonage, 33 Argosy Avenue, Layton. I was born 10th June 1908 at St.Helens Lancashire. St.Helens is world famous for glassmaking, by Sir Thomas Pilkington. St.Helens is also famous for Beechams Pills, Powders, cosmetics and perfumery. I started school when I was 4 years old, everybody went to school in those days at 4 years old sometimes 3 1/2 years old. Sir Thomas Pilkington lived at Windle, a little district like Layton is to Blackpool. Sir Thomas built a school in St.Helens and it was about 4 or 5 storeys high and the playground was on top of the roof, it was flat. It was the length and breadth of the school building with big high railings all round it and when you looked through the railings people looked like dwarfs walking about. ' Windle Pilkington School ', everybody thought it was wonderful, it had its own swimming pool and when it was completed our school, St Thomas' closed down and we were transferred to the new school. Schools in those days were different than they are now. The main teaching was reading writing and arithmetic, also P.T. and swimming. There were no playing fields for classes to go to. There were no school buses, everybody had to walk to school, the motor car had not come on the roads then. If you had to ride you caught a tramcar, it was the most popular form of travel in those days. You could go all the way to Liverpool, 12 miles, or Bolton, 18 miles, but you had to change on the outskirts of every town you went through. The first trams had open tops upstairs with no roof on, and when it was raining you had to go downstairs. Later on they put roofs on the trams. Our homes were not like they are now, they had no bungalows, they were all built in rows. There were no bathrooms, there were no hot water pipes, only cold water, and if you wanted to have a bath you had to boil water in big pans on the fire. Everybody seemed to possess a zinc bath about four or five feet long and deep enough and wide enough to sit in. There were no electric lights, only gas. We had a gas pipe in every room downstairs, you had to fit a mantle on to it which was made of a special material. The mantle as it was called was just as big as an egg cup and it gave a very good light. It was an improvement on oil lamps. You did not have mantles on the gas pipes upstairs. When you went to bed you had a candle lit and it stood upright on a metal stick in the centre of a metal saucer, it was called a candlestick. The centrepiece of our homes in those days was the fireplace. It was about 5 feet high and about six feet wide and about 24 inches deep, in the centre was the fire-grate with four or five bars at the front. These were to hold the coal burning it was about 18 inches square. On the left hand side was a flat top which was called the hob and on the right hand side was the oven, this was about 24 inches square with a space underneath. To heat the oven you had to poke the fire underneath so that our mothers could bake in the oven. Our mother often made home made bread and cakes. We had to use the oven in those days as gas cookers were not invented then. Also along the top of the fireplace there was a wooden shelf called a mantelpiece and our mothers always had a six inch deep fringe with lovely tassels. This was fastened on the edge of the shelf with nice round headed brass nails. On top of the mantelpiece it was very handy to put ornaments, very popular ornaments were vases and a pair of candlesticks. When I was born in 1908 Edward VII and Alexandria were King and Queen of England, but I don't remember them. King Edward died in 1910 and King George V and Queen Mary came to the throne. On August 4th 1914 the Great War started, in 1916 my mother and father removed to Bolton. I do remember removing, there were no removal vans then, it was a large van pulled by two horses. They must have been tired pulling a furniture van all the way to Bolton. My mother, brother and I travelled all the way by tram. My father was employed as an engine attendant in a big cotton spinning mill. All the mills were driven by a big engine, the engine room was always spick and span. Bolton was famous for spinning and also weaving. The cotton was imported into England from Egypt and America, it came in bales like cotton wool. The bales from Egypt weighed 750 lbs. and the bales from America weighed 500 lbs. The cotton was not white and clean as we see it today, it was a grey colour. It had to be cleaned, combed, spun and woven to a finished shirt or other garment. The spinning machine was invented by a Bolton man called Samuel Crompton at his home in Hall-ith-Wood in Bolton. People used to spin cotton on small machines in their homes but Samuel Crompton invented a large spinning machine which was why all the big mills were built to house them. The workers used to start work at 6 a.m. in those days and worked till 5.30 p.m. They stopped for breakfast 8 a.m. to 8.30 a.m. and at dinner time 12.15 p.m. to 1.15 p.m. and they worked Saturday till 12 noon. From 1919 they brought in a starting time of 7.45 a.m. which was much better. In those days people did not have alarm clocks to wake them in the morning. A man came round to our homes every morning and he was called a knocker-upper. He had a big long cane with two or three wires on the end and he rattled the wires on the bedroom windows. It always woke you up and you had to shout that you were awake. Some knocker-uppers were very funny they sometimes told you what the weather was like, sometimes they would shout up ' put your clogs on this morning it's snowing '. They came round every Friday evening to collect their money which was three old pence per week. When I was eleven years old I took papers out every morning and evening. I used to knock the newsagent up at 6 a.m. to get the papers ready and take them out. I finished about 7.15 a.m. then went home for breakfast and got ready for school. I went out at 5 pm. till 6.30 p.m. with the evening papers. I did not go on Sundays and I got five shillings a week for all that. When I started school in Bolton In 1916 I was 8 years old and I went to Pikes Lane Council School. We were not in different forms, in those days they were called standards. Standard 1,2,3 and so on up to 7. When I was 12 years old in 1920 I started work in the cotton mill working half time. Mornings one week in the mill and school in the afternoons and then the next week school in the mornings and and afternoons in the mill. I was earning fifteen shillings a week and I used to get spending money equal to a penny in the shilling. When I was thirteen years old I was in standard 5 at school and left to work full time in the mill. Workers then only had one weeks holiday per year, they always started the last Friday in June and we had a three day holiday the first week in September. We never got paid for our holidays like they do now in 1977. When we went to school and work those days we did not wear shoes, everybody wore clogs. There were several cloggers shops where you could go and have new clog irons fitted, we always looked forward to going ot the cloggers to have our clog irons fitted. You had to wait while he did them and it was very interesting . He did not mind if we stayed to watch him making new clogs. There were no school uniforms then, you just wore ordinary clothes. We had a sunday suit and shoes that we had to keep for best, we only wore it on Sundays." Eric Parsonage died on 15 January 1984 at Blackpool, Lancashire, at age 75.